Micromax yet launched another smartphone for there Canvas series – Micromax A72 Canvas Viva . Micromax A72 canvas Viva is there cheapest canvas device till now . Micromax A72 canvas viva runs on Android 2.3 and has 1GHZ single core processor paired with 256mb RAM . As other canvas superfone (smartphone ) A72 also has 5inch capacitive display of 480 x 800 resolution . Micromax A72 canvas Viva has 2g, wifi , edge , Bluetooth & USB connectivity but there is no 3G capability . 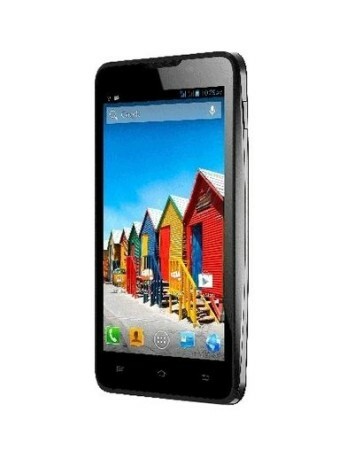 Micromax A72 canvas price is Rs 6999 and is available online . Micromax A72 is a budget smartphone & comes with standard specifications . Micromax A72 Canvas viva has 5inch capacitive display having 480 x 800 resolution . The superfone (smartphone ) runs 1GHZ single core processor paired with 256mb ram . Canvas Viva has 3MP camera at rear and 0.3MP at front . Micromax A72 canvas Viva has Dual Sim Capability too . Micromax A72 Canvas viva is powered by 2000mAH battery . The device has edge , wifi & bluetooth connectivity & also has Accelerometer sensor . External Sd card upto 32GB can be inserted for expanding memory . The superfone runs on Android 2.3 gingerbread . 3MP camera at rear and 0.3 MP at front . 256MB ram & 512MB rom . wifi , bluetooth , edge . 32GB external SD card . 1. Micromax A54 Ninja 3.5 (Unboxing & review)- Micromax A54 Ninja 3.5 has 3.5inch display and also have 3g and GPS capability too . 2. Karbonn A6 – Karbonn A6 also does not have 3g capability & has 4inch Display . 3. Karbonn A12 – Karbonn A12 is better than all above handsets specially when compare to Micromax A72 . 4 . Micromax A91 Ninja – Micromax A91 ninja is another newly launched handset from Micromax A91 has 4.5 inch screen & it runs on Dual core Processor . 5. Huawei Ascend Y300 – Huawei Ascend Y300 is a Dual core Smartphone . You can Buy A72 from flipkart . Well this is not lowest price , so kindly check on other online stores too.